A spinal synovial cyst is a sac of fluid in the lining of the facet joint. Most experts agree that synovial cysts are related to osteoarthritis or other degenerative changes that may develop in that joint. Basically, what happens is that over time, and with wear and tear, your facet joint cartilage (a springy material contained in the joint to give it protection and shock absorption) erodes. In the process, the lining of the joint (called the synovial lining) may pouch out and form a cyst. While other types of spinal cysts are also known to form on the spine, (for example, Arachnoid cysts, Tarlov cysts and others) synovial cysts the most common. With that said, synovial cysts are a relatively rare cause of back pain or spinal conditions. Cysts in the neck tend to be rare, but when they do occur, they may cause myelopathy, which is symptoms due to pressure on the spinal cord. In case you were wondering, ganglion cysts are also found in the spine, and while they differ from synovial cysts, are treated the same way. Wherever you are along the length of the spine, a synovial cyst is a synovial cyst. Just the same, spinal synovial cysts are named based on the region in which they are located. So if you have a one in your neck, it's called a cervical synovial cyst. If the cyst is located in your low back, it's called a lumbar synovial cyst, and if it is located in your upper or mid back it's deemed a thoracic synovial cyst. Synovial cysts can occur on one side of your spine or both, and they can occur just at one spinal segment, or at multiple levels. L4-5 is also an area of great spinal instability, which as we'll discuss below, may well be related to the formation of cysts. Though rare, synovial cysts are important to consider because they may indicate or in some way be related to painful conditions such as degenerative disc disease, spinal stenosis or, worse, cauda equina syndrome. 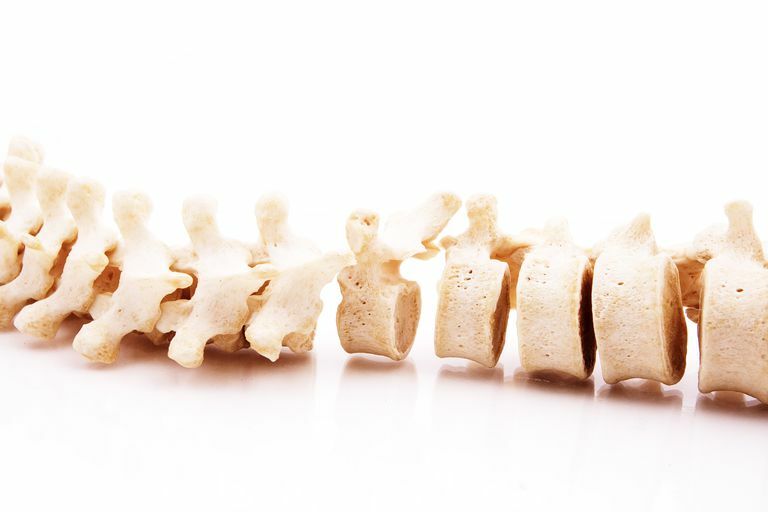 Bydon says although experts cannot as yet pinpoint the cause of spinal cysts, it is thought they are related to spinal instability and degenerative changes in the spine. He comments that 33% of patients who present with synovial cyst also present with spondylolisthesis. Bydon says that the severity of your symptoms will likely depend on both the size and the location of the cyst. Some cysts remain small and present few symptoms. Other than regular monitoring, you may not need treatment if you have this kind of growth. Cysts are generally diagnosed by means of an MRI. If your cyst causes you a lot of pain, and surgery is too risky given your health condition, your doctor may suggest corticosteroid injection or cyst aspiration. But these treatments may not live up to your expectations for pain relief, according to Bydon, et. al. in their study entitled, "Treatment of Spinal Synovial Cyst," published in the September 2012 issue of World Neurosurgery. The researchers in this study identified that the failure rate for these procedures was almost 50%. If you have a lot of pain from your cyst, and your health permits, your doctor may suggest back surgery. But which one? According to Xu, et. al. (Bydon was one of the researchers) in their study entitled, Factors associated with recurrent back pain and cyst recurrence after surgical resection of one hundred ninety-five spinal synovial cysts: analysis of one hundred sixty-seven consecutive cases, which was published in the May 2010 issue of Spine, while laminectomy and hemilaminectomy used the most in cases of spinal cysts, and that most people, experience immediate pain relief following these surgeries. But within 2 years, the authors say, the pain may come back and also another cyst may form. Bydon and his team of researchers instead suggest decompression with instrumented fusion to prevent recurring problems. Bydon, A. Treatment for Spinal Synovial Cysts. Video, Neurology and Neurosurgery. Johns Hopkins Medicine. Bydon, M., Kyriakos Papadimitriou, K., Witham, T., Wolinsky, J., Sciubba, D., Gokaslan, Z., Bydon, A., Treatment of Spinal Synovial Cysts September 2012. Khan, A., Girardi, F. Spinal lumbar synovial cysts. Diagnosis and management challenge. Eur Spine J. 2006 August; 15(8): 1176–1182. Sehati,N., M.D., Khoo, L., M.D., Holly, L., M.D. Treatment of Lumbar Synovial Cysts Using Minimally Invasive Surgical Techniques. Neurosurgical Focus. 2006. Xu R., et. al. Factors associated with recurrent back pain and cyst recurrence after surgical resection of one hundred ninety-five spinal synovial cysts: analysis of one hundred sixty-seven consecutive cases. Spine, May 2010.